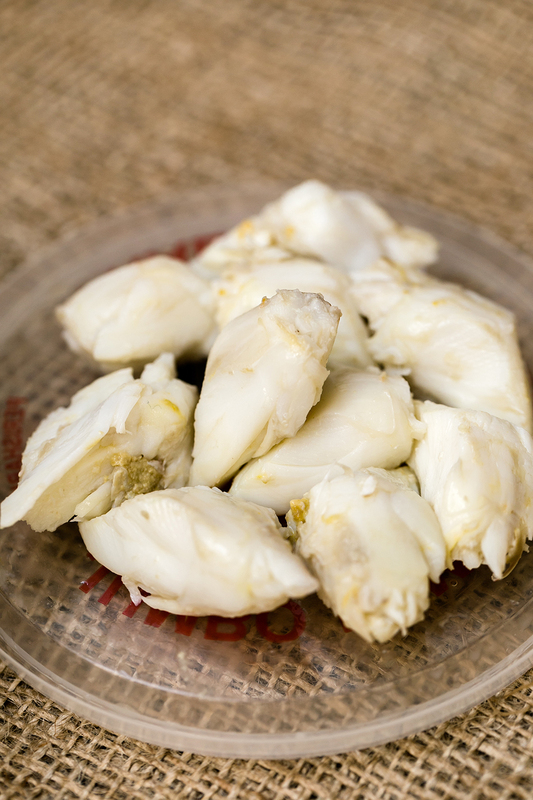 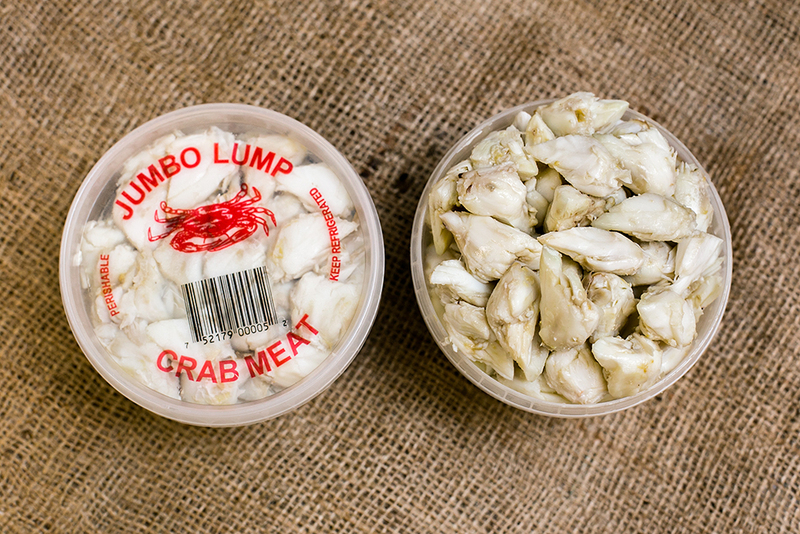 The jumbo lump is the premium grade of the blue crab. 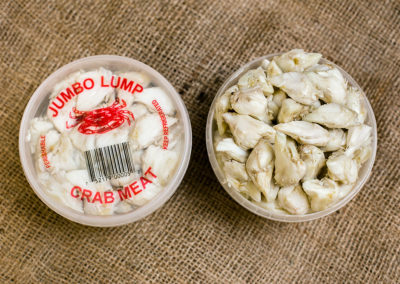 There are only two lumps per crab and they are the two large muscles connected to the rear swimming fins. 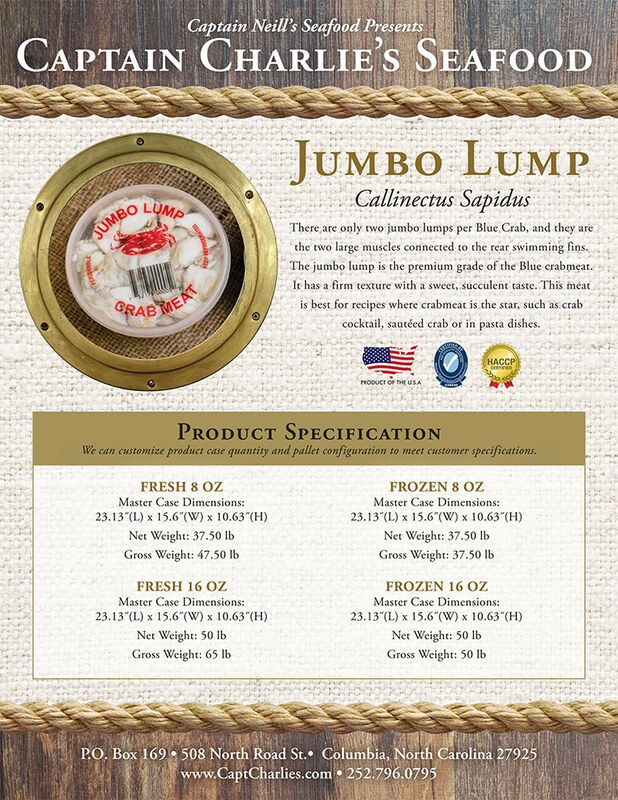 The jumbo lump is firm and sweet succulent taste. 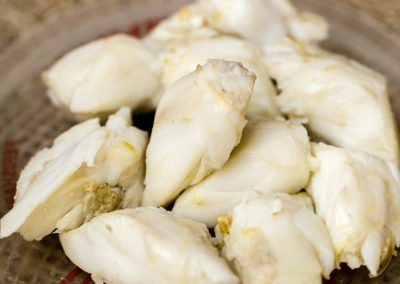 Best used in recipes where the crabmeat is the star such as crab cocktail, sautéed crab or in pastas.